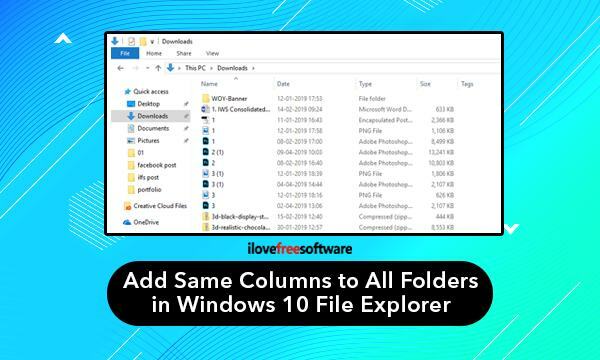 How to Add Same Columns to All Folders in Windows 10 File Explorer? This tutorial covers how to add same columns to all folders in Windows 10 File Explorer or File Manager. It can be done with built-in feature of Windows.